I was born in Singapore, I am simply an explorer in this Little Reddot. However, not an explorer outside the Reddot and without going overseas. 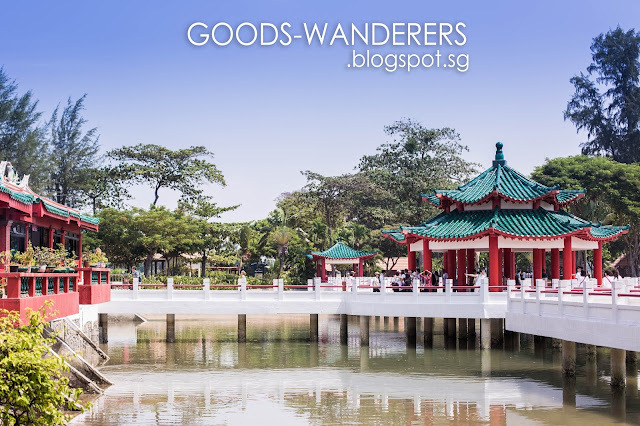 Last week, I've got myself an opportunity to travel out of the Little Reddot without any Passport to visit a different perspective of Singapore. 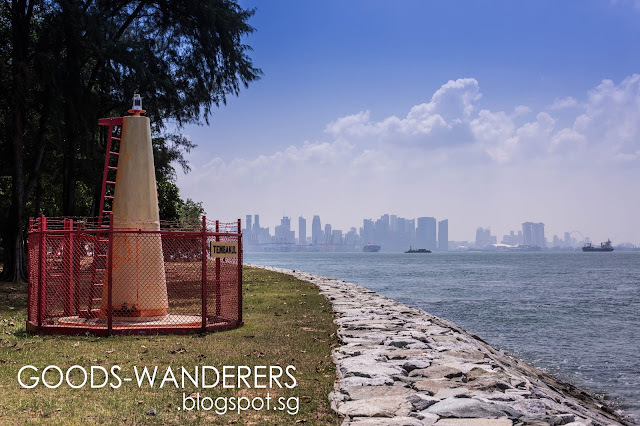 My Initial Plan was going to Kusu Island, partly because I've never been there before and I was one of the Guide to lead TPASG Photowalk Community's Participants for a Photography Adventure due to Popular demand. Of course, someone in the Group knows the way better than I do. We traveled by Ferry from Marina South Pier, Singapore. 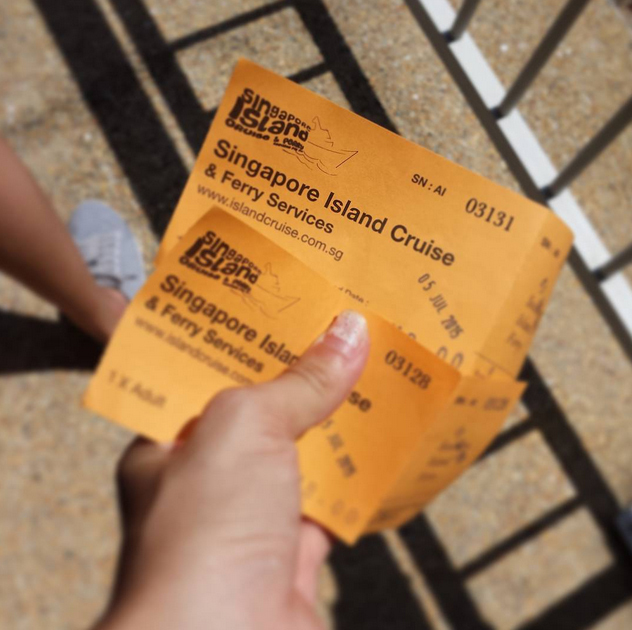 When we were buying the Ticket, we realized we can stop by St. John Island with the same Ticket which cost us $18/- for both island. It's like a Loop Tour. The Ferry stops at St. John Island first before going to its last stop at Kusu Island. I've never been to St. John Island either. The Group was agreeable that we go for both, so we went Island-hopping for about 2hrs each Island. It was a Sunny Hot day. 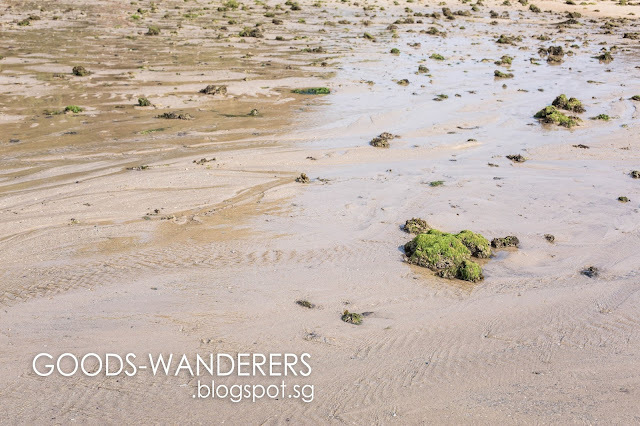 Upon reaching St. John Island's Jetty, it seems deserted with grass and trees. There was nothing much. The Map shows a Long Walk to the Island's Chalet and some Historical Sites, the short distance places are Beaches and beaches. So we went to the Beach, not knowing what we could expect out of it. 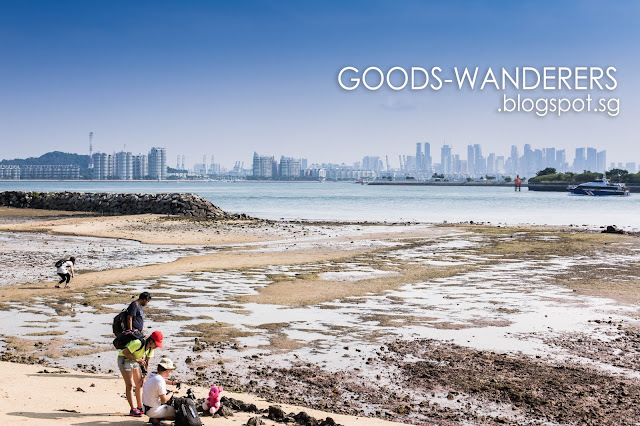 When we were there, a Group of Participants went shooting "Travelling Toy Photography" and another Group exploring what's in the low tight sea's mud. 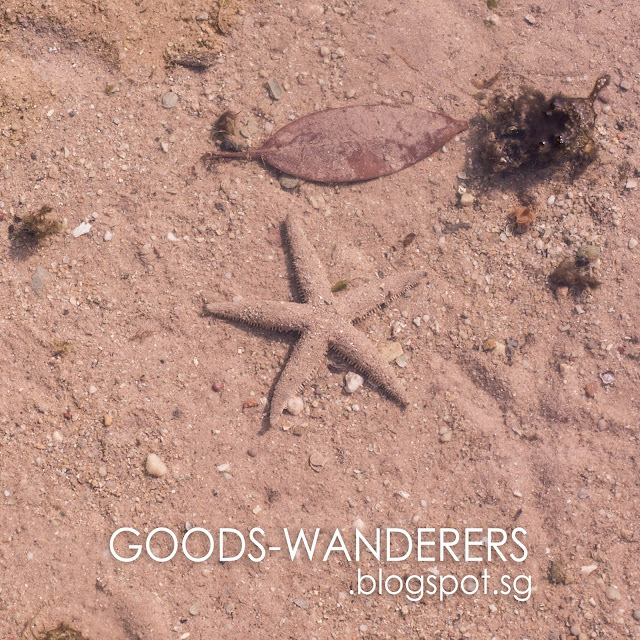 Surprisingly we never expect that we could see some Stars on the ground. Yes, it's Starfishes! 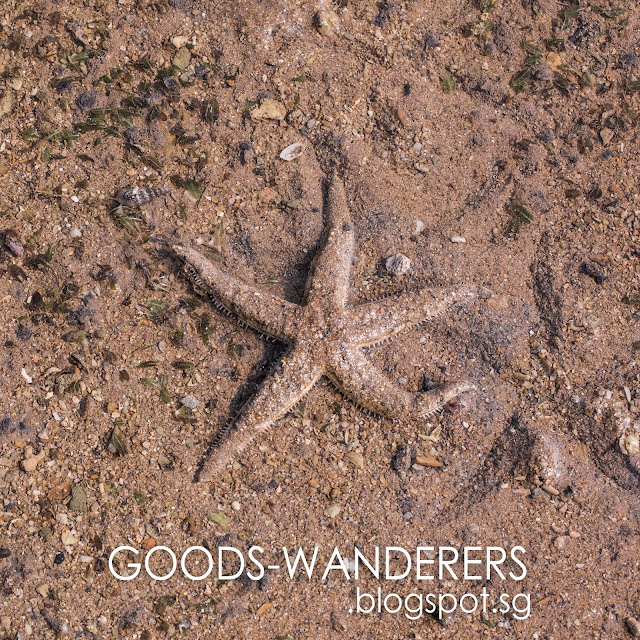 Probably 10 years ago we were still able walk in the mud in Pulau Ubin and picking up Starfish but no longer able to do so now. 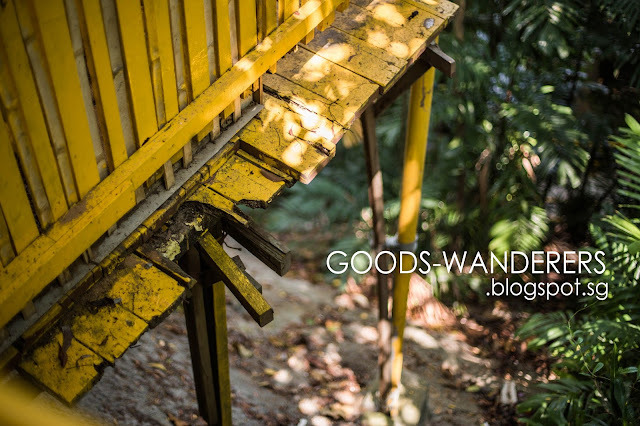 I heard from some friends, it is still do-able in Pulau Ubin, however you'll need to know "that" Risky path to enter. It is not encouraged to. By the way, talking about picking up Starfish. 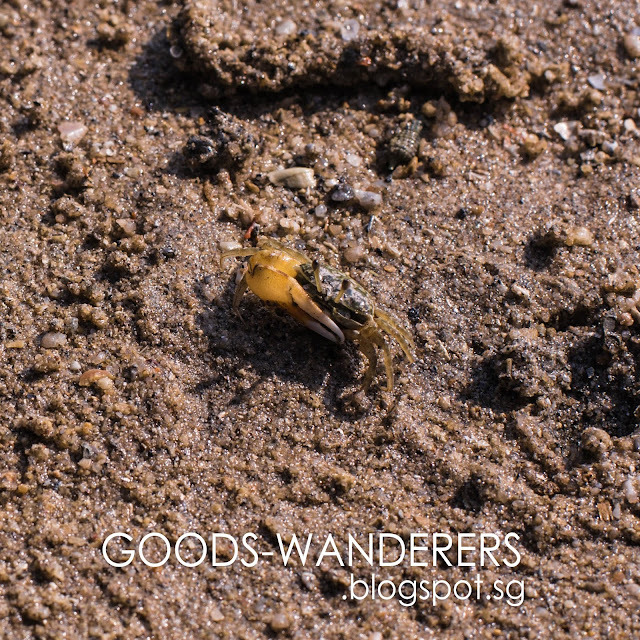 The Reason why Pulau Ubin Chek Jawa closed for Public to go near to the Nature and built that walking bridge/path is partly because too many people are too curious to pick up Nature Creatures and it destroy their lives. Star fishes especially, gets Thirsty really fast and can't sustain without water surrounding them. They will get dehydrated and die very soon. So please self-descipline, I know they are adorable but I promise I won't pick them up ever again. 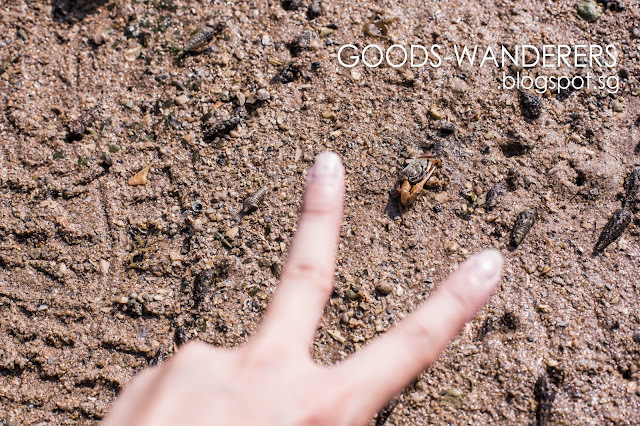 There's also alot of other creatures in this muddy surface. 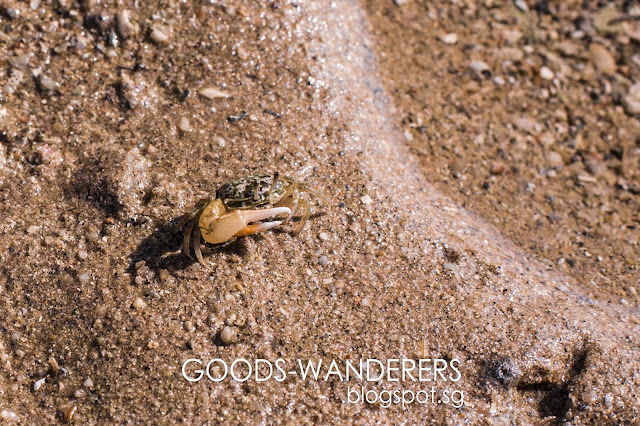 For example, we found Hermit Crabs and Fiddle Crabs. Don't be deceived by my pictures, they are actually as small as my smallest finger. 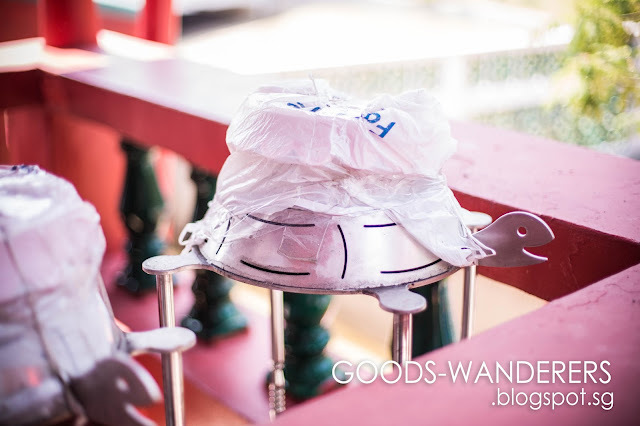 After our Nature Exploration, we took a seat at a nearby Bench and enjoy the scenery while resting and waiting for the next Ferry to arrive. 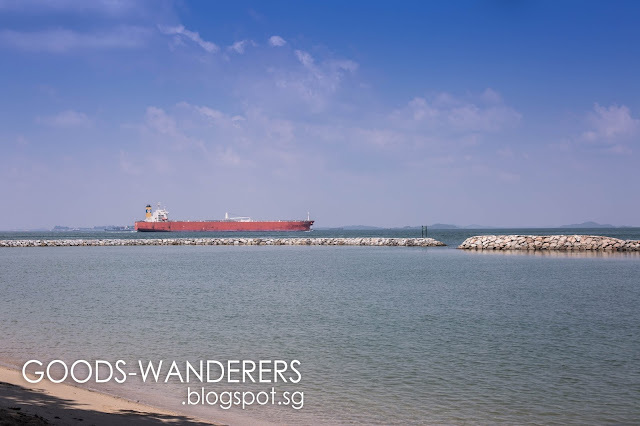 Next Island, we hopped to is Kusu Island. 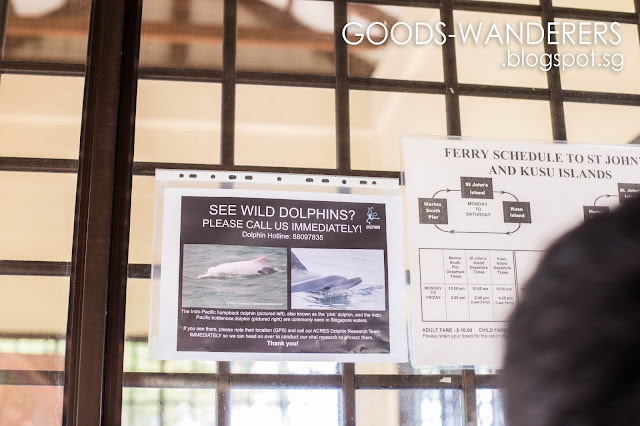 Pink Dolphins were spotted in Singapore's Sea years ago and ACRES Dolphin Research Team are looking for its actual spot. Please turn on GPS when you see any Dolphins while you're on your Ferry, inform ACRES regards it.Something I didn't know too, Dolphins swims to our Country. Wow. 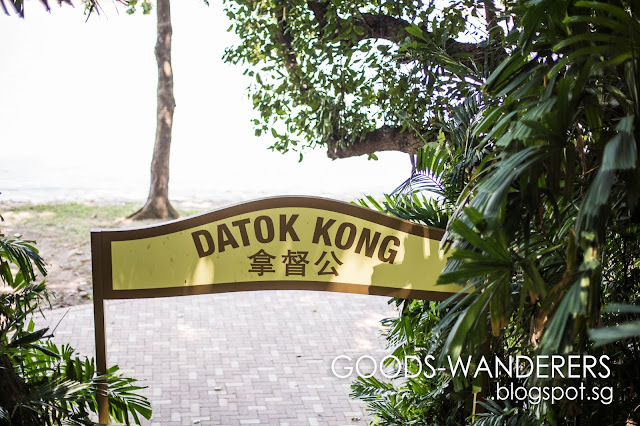 I also heard that the reason why Sentosa set up Dolphin Lagoon is because Dolphin swims to Singapore and they adopted it to rescue them or something. However, I'm not really sure if this story is for real. 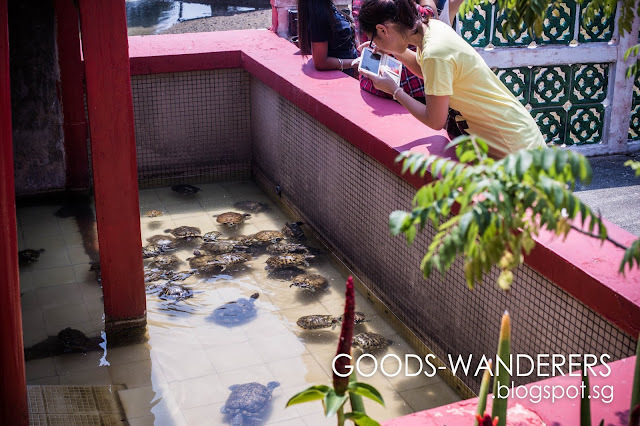 If you're a Tortise Lover, then Kusu Island is a place you MUST visit atleast once in your entire life. 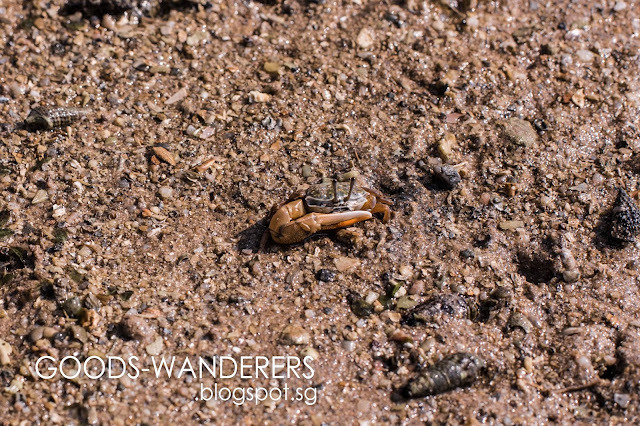 Kusu Island, direct chinese translation is call "Tortise Island". The famous "龟屿岛" has often visitors of both local prayers or tourist. 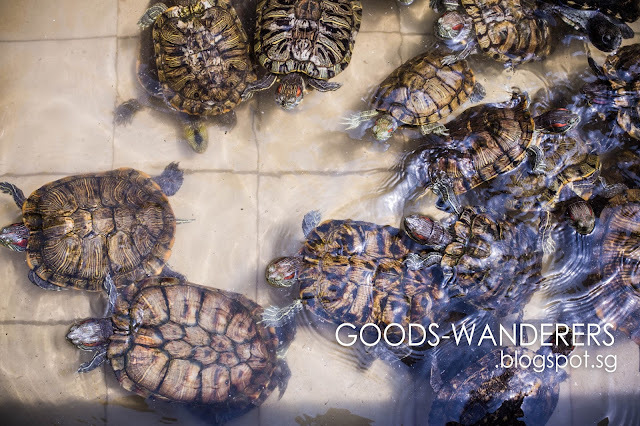 I heard the Tortoise used to swim in this big greenish pond surrounding the Temple with all the Fishes too. However when I was there last week, they have been shifted to inside of the Temple. 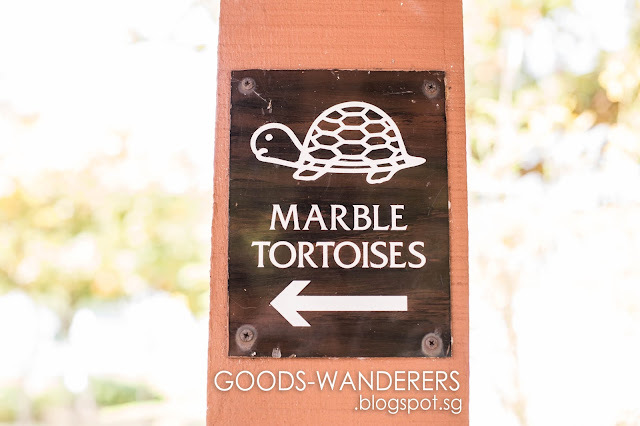 Kusu Island is famous for its Temples and Tortoise, even the Rocks/ Statues and other home ware looking items can looks like Tortoise too. After we've visited the Temple with lots of Tortoise, next is the Hilltop Temple. Rumors says, you can't be rude to this God on the Hilltop or he will punish you. Especially when you are there for prayers, try to be respectful to the God. The Rumors comes from the people I know, and they have true story about certain incident that happened to them and their love ones. They did or said something wrong that dis-respected the God and they had some deep punishment they could not forget in their entire life. Don't try that even you are not so superstitious, better to be safe than sorry. We have some spare time after Temples-hopping, so we went strolling on the Beach. 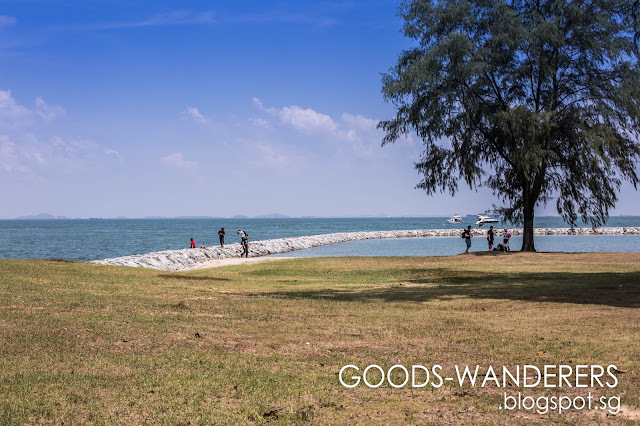 Kusu Island is a Small Island, good for Family outings and good for Landscape Photographers. Haha. 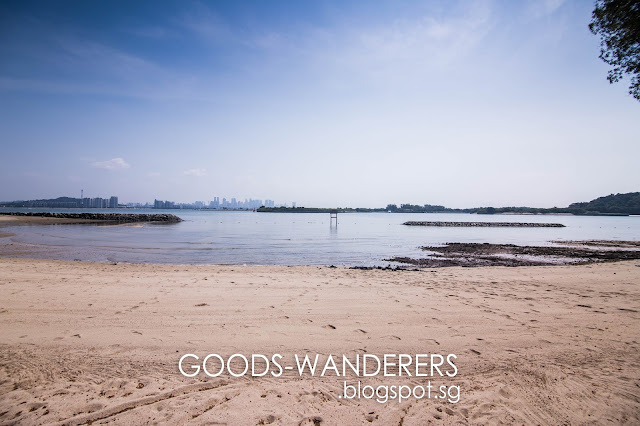 It has nice view of Singapore's city skyline and it's a like a mini get-away trip from our Busy Bee life in Singapore. Oh, if you've been wondering. Why some of my photos have copyrighted text and some doesn't. It is because the ones taken by my mobile phones have none, and the ones with my DSLR are with it. I'm ending my post here. Have Island Hopping soon! Thank you Samsung S4, Photo filtering by Instagram App. Thank you Canon 5d mk iii too, and Adobe Lightroom Software.